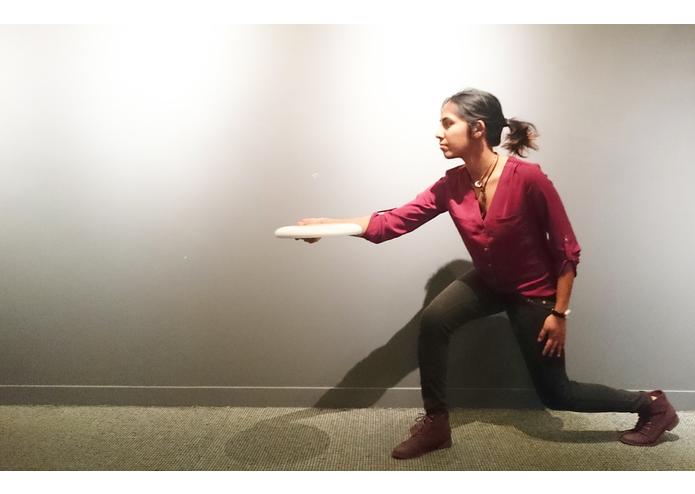 Measure every frisbee throw using motion sensors and perfect your technique! Motion sensor attached to disc. Cover removed to show inside detail. We have lots of passion for competitive ultimate frisbee! However currently, there's no way to get feedback or learn how to improve your throw. Both beginners and advanced players struggle with consistently putting the right spin, tilt, and speed on their disc. 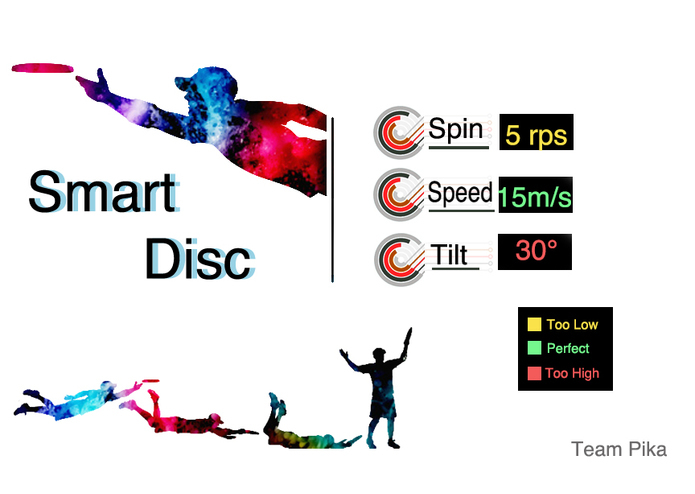 We built SmartDisc - a frisbee that measures spin, tilt, and speed of the disc every time you throw it and wirelessly displays the data on your screen. Players can now consistently measure and track their performance and adjust their technique to get to the perfect huck! We connected a 3-axis acceloremeter/gyroscope to a microcontroller. The microcontroller uploads the data to Microsoft Azure's Easy Tables. We then used Microsoft Office Excel to automatically download, process the data, and cleanly display the results on screen. This was our first time doing any embedded electronics. Our initial design was to use Particle Photon to capture and wirelessly send the data to Microsoft Azure's cloud service. We proved every component worked individually. But during integration, the Photon was unreliable and stopped working. This forced us to switch to using a wired Arduino to transmit data directly to a computer. 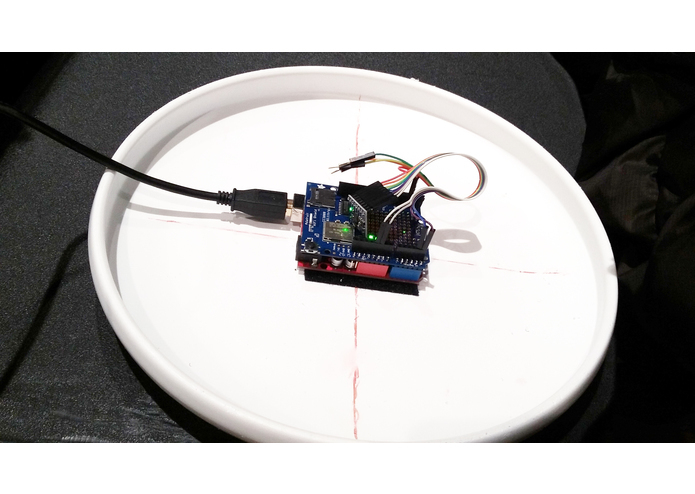 We made a portable, wireless sensor that can be attached to any frisbee. 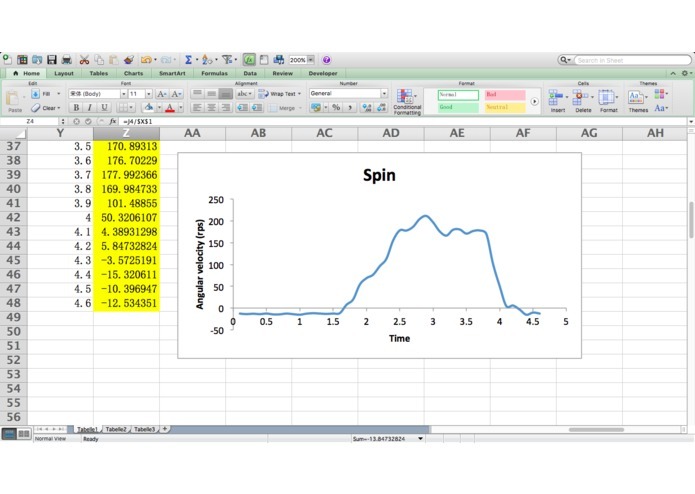 We came up with our own algorithm to convert raw gyro sensor data into spin, tilt, and speed measurement outputs. We designed a user-friendly interface and experience even for beginner players! We want to make the device smaller and flatter using integrated circuits so it has a smaller aerodynamic profile. We want to output the data into a smartphone app. We want to use Bluetooth to transmit data so you can use it anywhere. No wi-fi needed!